Dog portraits are by far my favorite painting subject. 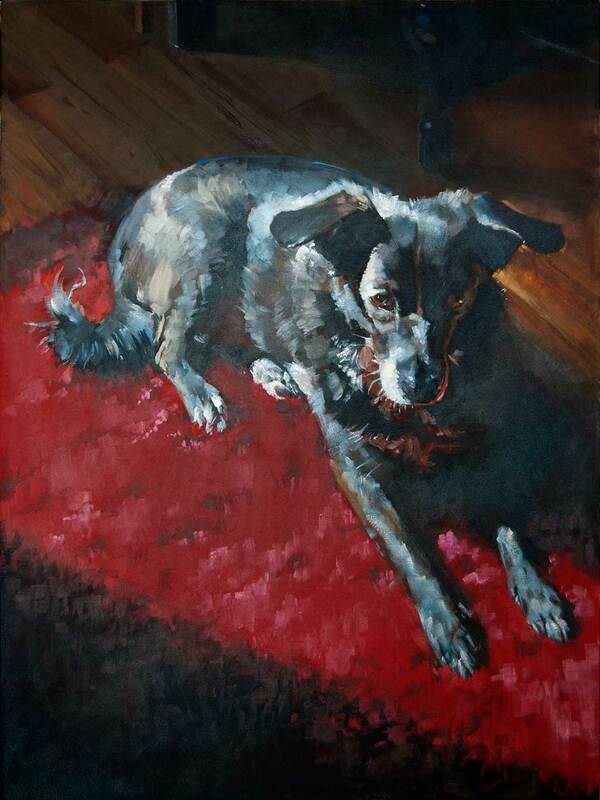 With this larger canvas, I was able to portray Betty, one of my own pets, almost larger than life. The red shag carpet was her favorite spot in our New York apartment, especially when the sun hit it late in the afternoon. The painting came together very quickly and remains one of my favorites. It's paired with a portrait of her brother Barney.